Looking for the latest casino bonuses? Look no further because we have a list of the best online casino bonuses. As a review portal we know how important good bonuses are to our Canadian visitors. That’s why we only feature sites that offer a great selection of welcome bonuses, no deposit bonuses, re-load bonuses, free spins and more. Every Canadian online casino offers a welcome or sign-up bonus as a means of getting you through their ‘virtual’ doors and becoming a player. The bonus offer is normally the main thing highlighted on the casino’s homepage. It’s also one of the main ways in which casinos compete trying to offer as an attractive welcome package as possible. Most sign-up bonuses are match bonuses where the casino will ‘match’ your deposit by a certain %. These bonuses are sometimes also called ‘stage bonuses’ as the casino offers the full welcome bonus amount across a number of deposits by the player – stages. This is a 3 stage match bonus, to get the full first bonus of $250 you’d need to make a $250 deposit, for the second bonus you’d need to make a deposit of $800 (4 x $200), and for the third bonus a $1500 deposit ( 2 x $750). The total possible bonus is $1200 and that’s what Royal Vegas advertises but you can only get this after 3 deposits. No deposit casino bonuses sometimes known as free casino bonuses are bonuses offered by a casino without requiring a deposit first. The amounts offered in such bonuses are generally small, between $5 and $20. To claim such a bonus you go to the casino offering such a bonus and register for a real money account. Then after completing the registration process which sometimes may require adding a no deposit bonus code, the bonus amount will appear in your account. A lot of Canadian players see no deposit offers as free casino money, but this isn’t the case as I’ll explain later. Another popular type of bonus offered is free spins, where the casino offers free spins on a particular slot game. 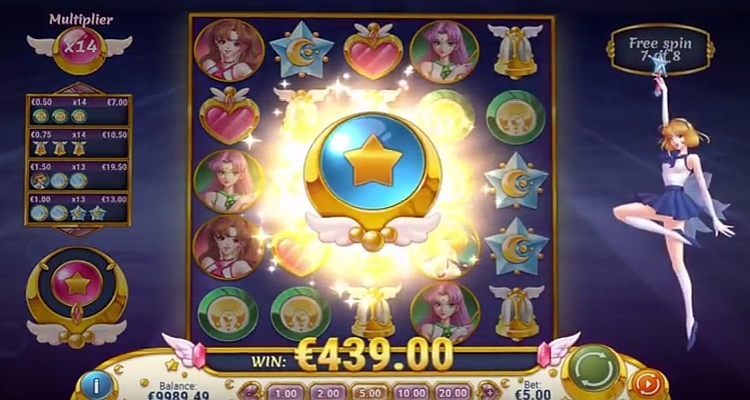 This offer can come in two forms – free spins no deposit required where you’re offered a small amount of 20 free spins without first having to make a deposit and free spins credited to your account after making a deposit, where the number of spins offered is much higher i.e. 150+. A great choice for new players are Euro Palace’s free spins with free spins plays being offered across a range of top games. Re-load bonuses are bonuses offered by casinos after the initial welcome bonus. These bonuses will differ according to the casino and your status as a player. Some casinos offer re-load bonuses as part of an ongoing loyalty program. Others casinos offer them on an ad-hoc month by month basis to reward loyal players. ComeOn! 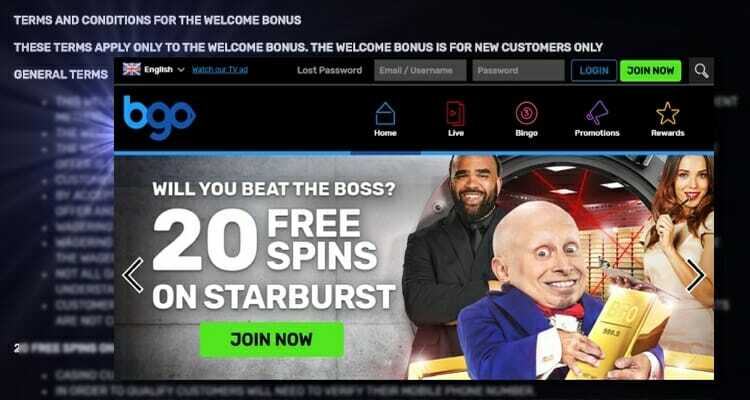 a great new brand featuring games from Microgaming and NetEnt is currently offering a 20% reload bonus to existing players. Re-load bonuses are also used by casinos to re-activate dormant players. Casinos are always looking for cost-effective ways to generate new players and one way they came up with is the refer-a-friend bonus. Simply refer a friend who opens an account and becomes a real money player and you can be rewarded with a bonus to your own account for this referral. Casino.com one of our top Playtech casinos offers a $50 bonus to players who make a referral of a friend. Quite a few online casinos run tournaments on particular games, generally slots but also on table games, where the winner or top placed players win bonuses or cash prizes from the prize pool. You will need to register for these tournaments and play during the time period set by the casino. You’ll find details of these tournaments in the casino lobby or via email from the casino. Generally, at the beginning of the tournament you will be given a certain amount of chips, and then have a limited amount of time to build the biggest amount of chips by playing the particular game. Online Casinos like their bricks and mortar counterparts love VIP players, high rollers or ‘whales’. To hang on to them they will often give them unique bonuses. Again the structure of these VIP bonuses will differ, some casinos will offer them as part of a formal VIP program whilst other casinos such as Mr Green Casino will give them to their elite customers on a more informal basis, where you will be invited directly by the casino. How do I actually get the bonus? Whilst many people would like to believe that casinos are in the business of giving out free money in order to attract new players or keep existing players, in practice bonuses whether match, no deposit or free spins all come with conditions attached. These are hurdles which the player has to cross in order to actually get the bonus in the form of cash. They were created in the initial years of the industry to stop ‘bonus whoring’ where players just went to a casino, made a deposit, got credited with the bonus and withdrew leaving the casino out of pocket. The major step all players have to complete is to play through the bonus or in other words, meet the wagering requirements set by the casino. The wagering requirement states how many times the bonus (or in certain cases bonus + deposit) must be staked before the bonus can be cashed out. Taking the Royal Vegas welcome bonus as an example, it must be played through x 40 before the bonus can be withdrawn. If you deposited the full $250 on the first match deposit you would need to wager/stake $10,000 (40 x $250) in order to play-through and release the first $250 bonus. This doesn’t mean that you have to stake and lose $10,000, just that Royal Vegas requires you to wager that sum in total. Also, you don’t need to make the max deposit on a welcome match bonus, you are free to deposit less e.g $50 thus requiring less demanding wagering to clear the bonus. When aiming to clear a bonus it’s not enough just to wager the amount required, in practice, you also need to choose the right casino game in order to stand a realistic chance of clearing the bonus. Casinos grant games different % wagering requirement contributions according to their house edge. Choose the ‘wrong game’ with regards to its % contribution and in practice, you will never come close to clearing the bonus. If your first deposit was $100 and just played slots you would need to wager $4000 (40 x $100) before you could clear the $100 bonus, if however you played Blackjack you would need to wager $40,000 as every $10 you wagered would only contribute $1. In practice, with the wagering requirements on welcome bonuses being on average x 40 you need to play a game which contributes 100% to the wagering requirement. Look out for slots, keno and other parlour games which generally contribute 100% or 1-1. In the case of no deposit bonuses and free spins no deposit, even after playing through the bonus (the winnings in the case of the free spins) you will often need to make an actual deposit before you can cash out the bonus. On most casino sites you forfeit the welcome bonus if you make a cash withdrawal before completely playing through the bonus. Another small print term is the whether the bonus is cashable or not. Some bonuses are added to your account to wager but can’t be withdrawn. These are non-cashable also known as ‘sticky’ bonuses. Bonuses that you can withdraw once you’ve played through the wagering requirements are cashable otherwise known as non-sticky bonuses. Bonus whoring is the slightly inelegant but accurate term applied to players who seek to take advantage of casino’s welcome bonuses and specifically no deposit bonuses. Bonus ‘whores’ will never make deposits, instead they opt for no deposit casino bonuses where they don’t have to play through the deposit. Generally, they will play skill-based games such as blackjack or variants of poker where they can accumulate money by using skills to minimize the ‘house edge’. As no deposit bonuses only involve small sums they are able to ‘clear’ the bonus and take any winnings from their wagering relatively easily. Bonus ‘whoring’ was rampant in the early years of online casinos but now has been virtually eliminated. Casinos now employ a number of practical safeguards against bonus abuse including increasing the % wagering demands on no deposit bonuses, reducing the % contribution of skill-based games such as blackjack and using software that can detect players likely to be engaging in bonus abuse by their betting habits and techniques. How to pick a welcome bonus? 1) Are you going to be a big or small depositor? Ask yourself how much you’re going to deposit and play with? If you’re a big depositor and player then go for the biggest welcome bonus as possible i.e. the total amount across all stages. 2) How many deposits are you going to make? If you’re only going to make one deposit, maybe because you want to test the casino, then you want to choose a front-loaded bonus, i.e. a bonus which offers a good match amount on the first deposit. 3) Which games are you going to play? Be aware that generally only slots, keno and parlor (casual) games contribute 100% to the play-through requirements. Some games notably table poker games can offer up to 20% but if you choose these games then it’s going to take much longer to clear the bonus!